We need twelve post-dated checks for the condo we rent in Mandaluyong. That’s the only reason why I had to set-up a checking account. With no bank in particular. There are a lot of things to consider regarding which bank to open an account like initial deposit and maintaining balance, interest rates, penalties in case of issued checks with insufficient funds, canceled checks, etc. Since I initially have paying rent as my sole reason for setting up the account and I’m well aware that I should not count on banks to give me sufficient interest rate to fight effects of inflation, I ignored the rate of interest in choosing the bank. According to my research the most practical bank to set-up a checking account is the bank where you have existing savings or payroll account and the one with a branch near you. My first checkbook. The next requested set will bear my name, printed on every check. It took me three days to fully set-up the account. On Day 1, I only needed to present valid ID. I first presented a voter’s id and the bank representative said it’s just a secondary id for them. They required me to show other id so I went home and looked for my PRC id and driver’s license. After I presented those, I was given forms to fill up. Banks don’t approve just about anyone to open a checking account because of numerous bouncing check cases so I was told to go back the next day giving them time to review the application for approval. I don’t know their considerations for approval but I was approved. On Day 2, I submitted the rest of the requirements and filled some more forms. The proof of billing is a bit tricky. I brought a Smart Gold bill addressed in my office but they chose the utility bill of the condo unit we are renting even if it’s not named after me. They are not strict here. The only available 1×1 pic on my wallet is my no make-up look in a sleeveless top and random background. It was accepted. 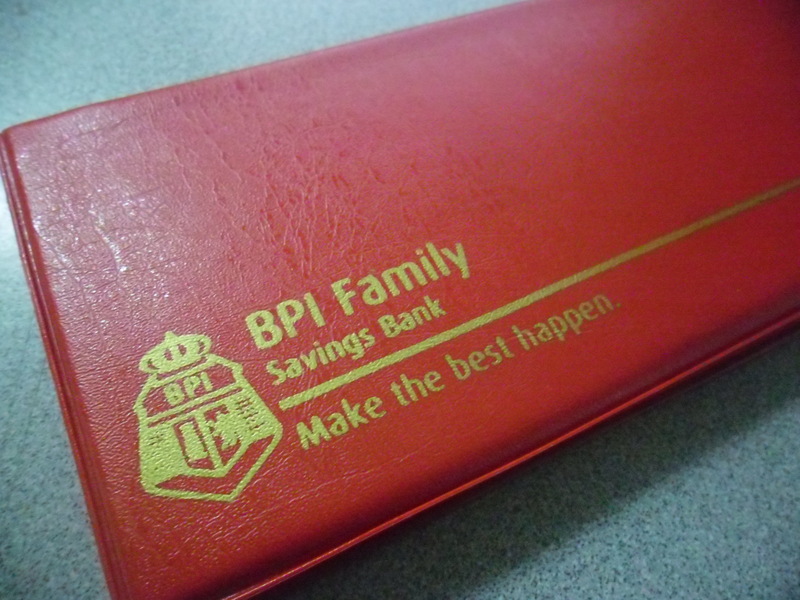 Another reason why I chose BPI is the opening and maintaining balance which are both Php10,000 for Islands branches and Php5,000 for Family Savings branches. I’m investing money in a cooperative that gives annual 10% interest so my only consideration aside from convenience of accessing my account online and the branch is the low initial deposit and maintaining balance. Of course, I’d rather invest in our cooperative! I’m thinking of putting my emergency fund in this checking account though. Checkbooks are worth Php175 and I paid for this as well on Day 2 and deposited Php5,000. After that, I was handed my first ever checkbook! The bank representative carefully explained to me the penalties, procedures on how to request for a new checkbook and some other checking account management tips. I really admired her patience and diligence in voluntarily giving those information. Too bad I did not get her name but she was so polite and accommodating. I opened account in 27 Mayon cor. Boni Ave., Mandaluyong, by the way. On Day 3, I just went back to the branch to get my ATM Card. Again the bank representative assisted me, even opened the envelope for me to give me specific instructions on how I should change my PIN. I know how to do that but small things like that count. I work with customers and clients so I value customer-service so I much. It’s something I am oblige to give everyday-sometimes painstakingly – so I really appreciate it when I get a good one. A checkbook means money going out from me but I like the feeling of having one. Ito ‘yung merun sa mga telenovela, hawak ng mga mayayamang matapobre habang sinasabi sa kaaway nila na, “Magkano ka ba?!”. Ito din yung pinupunit ng mga mararangal na dukha sa harap ng mayamang matapobre sabay sabing, “Hindi mo ko mabibili!”. As Gloria Steinem said, “We can tell our values by looking at our checkbook stubs.” Let this checkbook be one symbol of my good grasp of financial control and not the other way around. Reorder. Checks will now bear your name on top. ^_~ Maximum number of checkbook you may reorder is 4 (worth Php175 each). You may order through BPI Express Online. Default delivery is on your branch of account within 6 banking days. Ninety days after ordering and NOT picking up the ordered checkbooks, the checks will be destroyed by the bank. That Php175, is that a pad of checks? Thanks.. Yes, a checkbook with 50pcs checks.